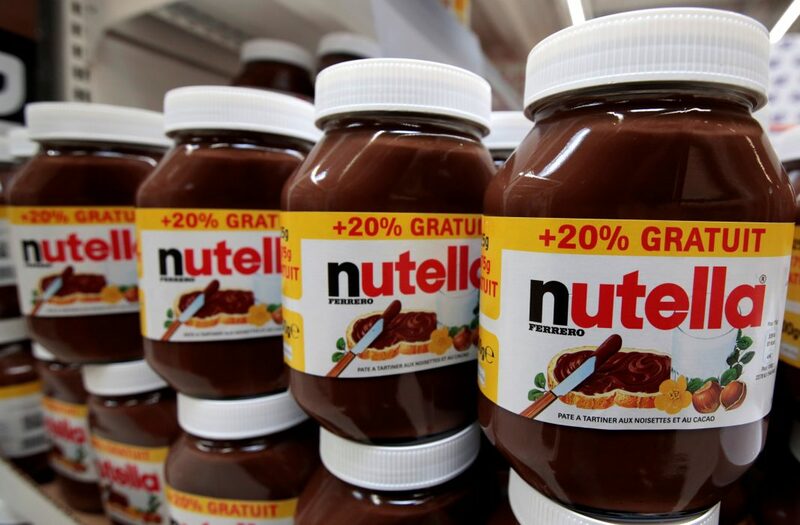 ALBA, Italy (Reuters) – The $44 billion palm oil industry, under pressure in Europe after authorities listed the edible oil as a cancer risk, has found a vocal ally in the food sector: the maker of Nutella. The hazelnut and chocolate spread, one of Italy’s best-known food brands and a popular breakfast treat for children, relies on palm oil for its smooth texture and shelf life. Other substitutes, such as sunflower oil, would change its character, according to Ferrero. “Making Nutella without palm oil would produce an inferior substitute for the real product, it would be a step backward,” Ferrero’s purchasing manager Vincenzo Tapella told Reuters. He features in a TV commercial aired in Italy over the past three months that has drawn criticism from some politicians. Any move away from palm oil would also have economic implications as it is the cheapest vegetable oil, costing around $800 a ton, compared with $845 for sunflower oil and $920 for rapeseed oil, another possible substitute. The detailed research into the contaminant – known as GE – was commissioned by the European Commission in 2014 after an EFSA study the year before, into substances generated during industrial refining, identified it as being potentially harmful. The World Health Organization and the U.N. Food and Agriculture Organization flagged the same potential risk that EFSA had warned of regarding GE, but did not recommend consumers stop eating palm oil. The U.S. Food and Drug Administration also has not banned the use of palm oil in food. The issue became a hot consumer topic in Italy after the largest supermarket chain, Coop, boycotted palm oil in all its own-brand products following the EFSA study, describing the move as a “precaution”. Italy’s biggest baker, Barilla, also eliminated it and put “palm oil-free” labels on its wares. The retailers’ decisions followed pressure from activists, including Italy’s main farming association Coldiretti and online food magazine Il Fatto Alimentare, which called on all food firms to stop using palm oil. High temperatures are used to remove palm oil’s natural red color and neutralize its smell, but Ferrero says it uses an industrial process that combines a temperature of just below 200C and extremely low pressure to minimize contaminants. “The palm oil used by Ferrero is safe because it comes from freshly squeezed fruits and is processed at controlled temperatures,” Tapella says in the TV ad, which was filmed at the firm’s factory in the northern town of Alba and was accompanied by full-page ads in newspapers carrying the same message. Ferrero is the only big European food company to mount such a public defense of the use of the ingredient in its products following the EFSA opinion. The company told Reuters it carried out “hundreds of thousands of tests” on contaminants in both the palm oil it uses and finished products. Nutella sales in Italy rose 4 percent in the last four months of 2016, said Alessandro D’Este, the head of Ferrero’s Italy business. EFSA’s 284-page study comes on top of environmental concerns that have dogged the palm oil industry for several years. Green groups have accused the industry of causing deforestation. Ferrero’s advertising campaign has drawn some political fire. The anti-establishment 5-Star Movement, which is running neck-and-neck with the ruling Democratic Party in opinion polls, has asked the Italian advertising authority to block Ferrero’s campaign and fine it for misleading consumers on both health and environmental risks. “It is good that Ferrero has clarified that the palm oil they use is safe and sustainable,” said Yusof Basiron, chief executive of the Malaysian Palm Oil Council.